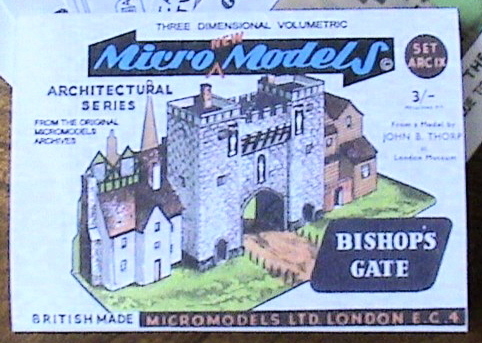 Description First isssued in 1952 at 2/6d. 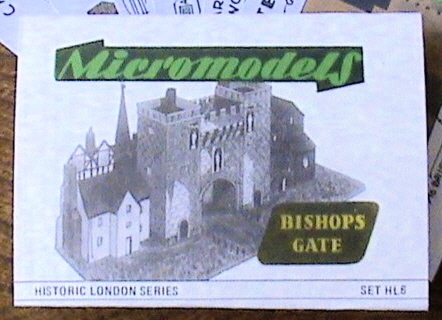 Large stocks of Bishop’s Gate were purchased by Broadway Approvals in 1956, and later passed on to the Watford Models Supply Co. in 1971.
one as set HL6. 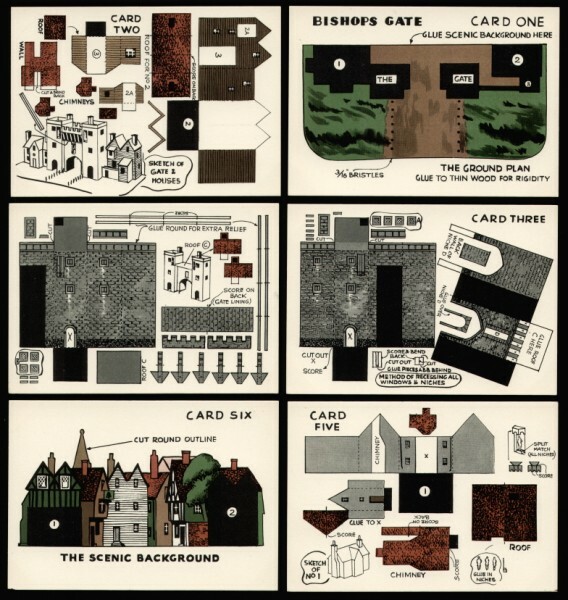 The cards are in full color, but the wrapper artwork of this set is in black and white. 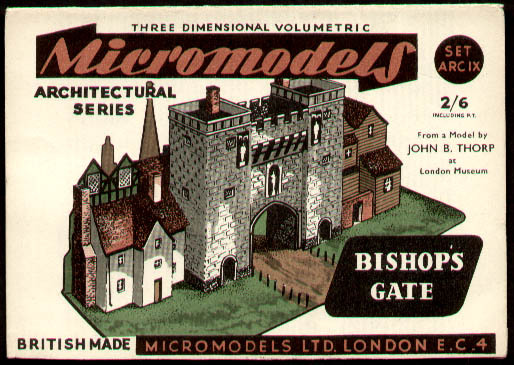 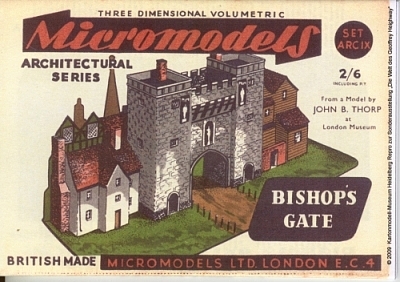 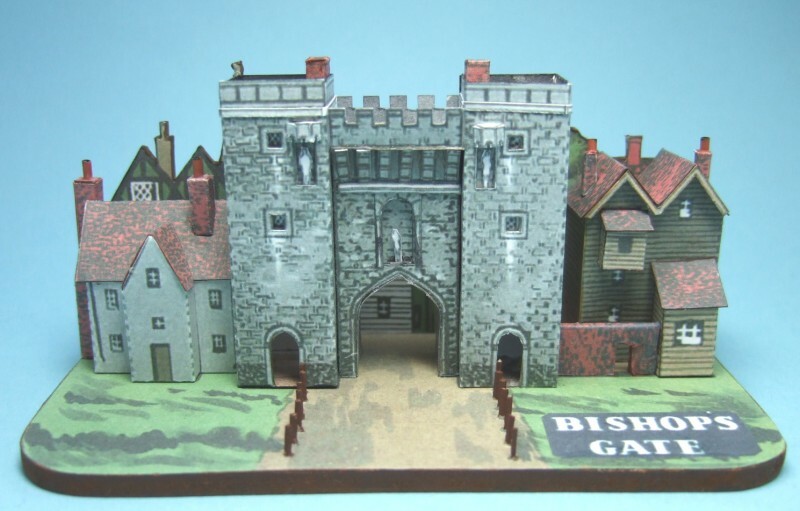 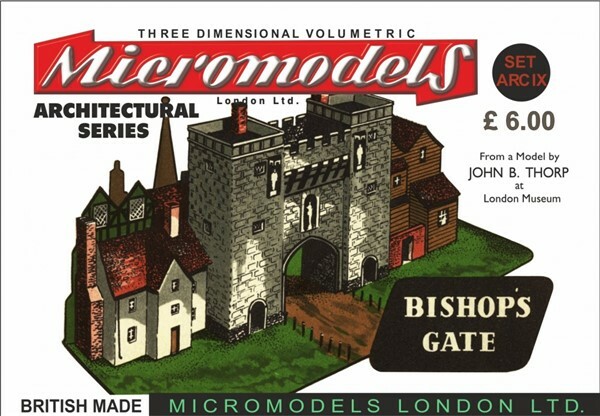 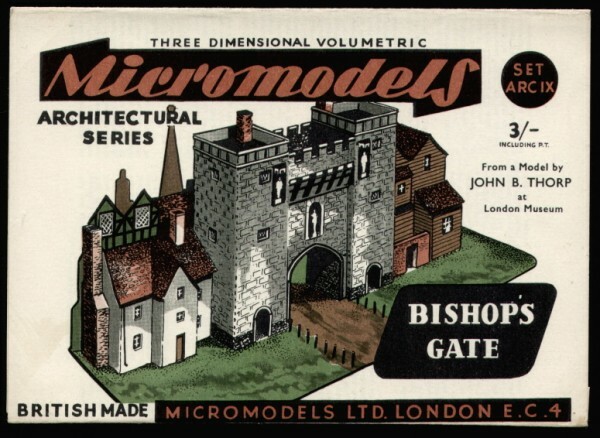 Micromodels London and Micromodelle Heidelberg have also published Bishop’s Gate.